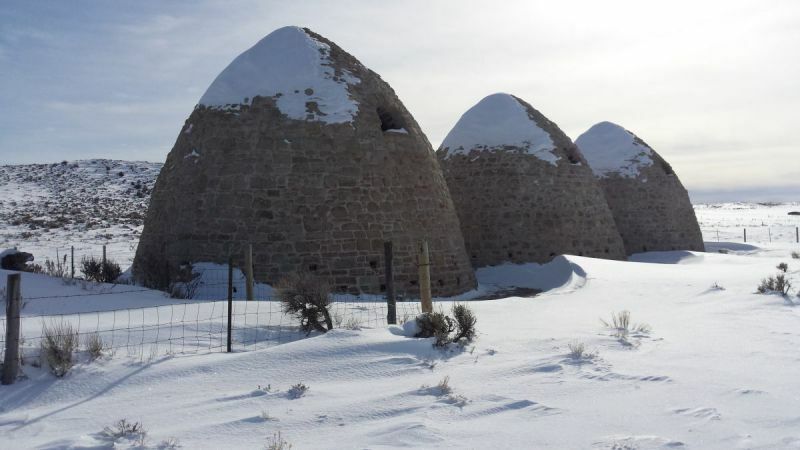 The Piedmont Kilns, Wyoming. They were built in 1869 to supply charcoal for the iron smelting industry in Utah. Part of a ghost town, three remain. A wave of bankruptcies is sweeping the US Farm Belt, and Trump’s trade disputes are adding to the pain. The primary cause is low commodity prices that American farmers have experienced for the past few years. Throughout much of the Midwest, US farmers are filing for Chapter 12 bankruptcy protection at levels not seen for at least a decade. Those states accounted for nearly half of all sales of US farm products in 2017, according to USDA data. Since 2000, China’s share of our agricultural exports has increased from two percent to about 19% in 2017. China has become our largest agricultural trading partner. The rise in farm bankruptcies tracks a multi-year slump in prices for corn, soybeans and other farm commodities caused by a world-wide glut. Prices for soybeans and hogs further declined after Mexico, along with China, retaliated against US steel and aluminum tariffs by imposing duties on our AG products, and then slashing purchases. Farmers generally supported Trump’s tariffs when he started the trade war in 2018. China’s retaliation was to virtually cease purchasing American agricultural products. As an example, China moved the sourcing of soybeans from the US to Brazil. When a low margin business like farming loses 20% of sales, only those who aren’t in debt can survive. And most US farmers owe quite a bit to their bankers. The Trump administration recognized the potential problem, and approved funding to bridge farmers across the decline in Chinese purchases, but the trade war has gone on for longer than anticipated. Unfortunately, we keep importing from China. 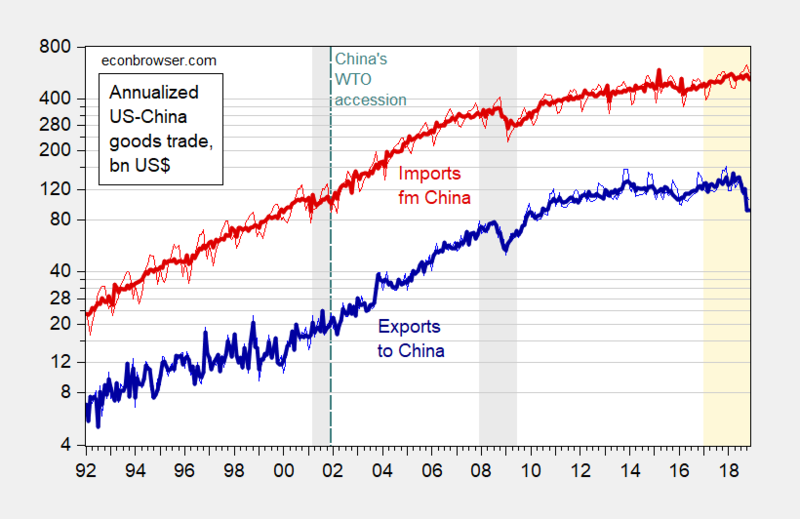 But in the past year, the Chinese have stopping buying as much of our goods. Clearly, the bull our farmers got isn’t in their barn, but in the White House. Republicans are saying that the surge in farm bankruptcies isn’t Trump’s fault, that the problem with the farm product glut started years ago. But, if Republicans want to give Trump credit for the good employment numbers, and a still-robust stock market, they have to blame him for the bad as well. Time to wake up America! Disruption without a strategy brings chaos. And think back to the SOTU, when Trump said how he stood between us and socialism. But Trump’s picking winners and losers with his trade wars. He’s using tax-payer money to subsidize farmers damaged by his self-imposed trade wars. That sounds eerily like socialism to Wrongo. Wake up to the fact that farmers are pawns in Trump’s capricious tantrums against China. Those who have played chess know that most of your pawns are gone by the end of the game. We are a decade into a recovery. Even with the best policy, a downturn would be inevitable. That farms are in crisis echos past downturns, such as the mid 1920s before the crash. Good luck to all of us. Sadly, we are running in the red when we should have adjusted tax policy to pay down debt. It will not be pretty.